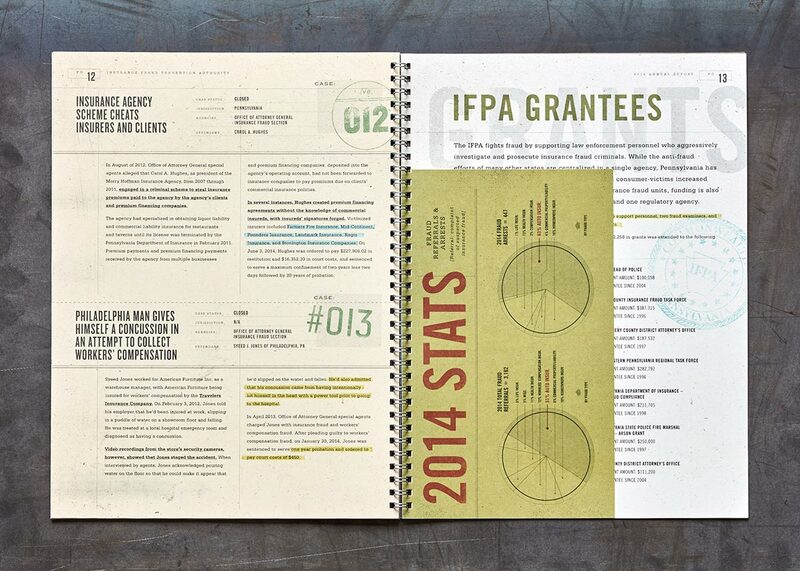 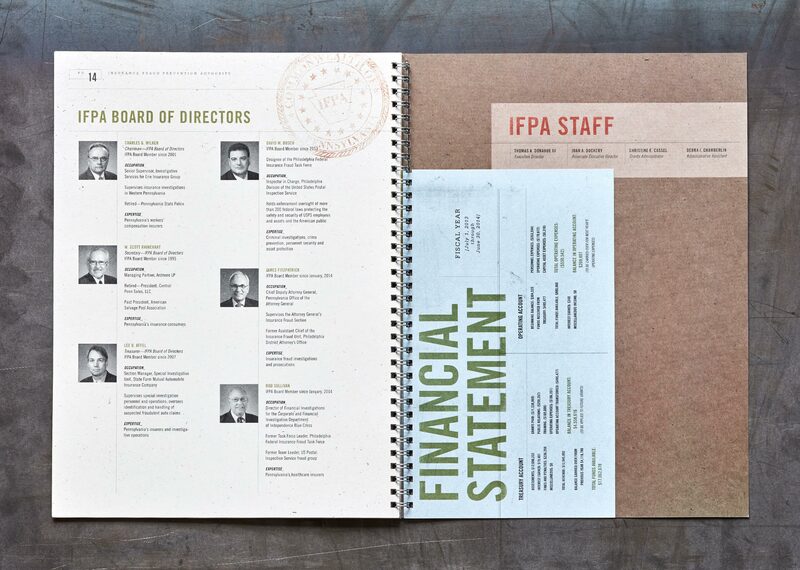 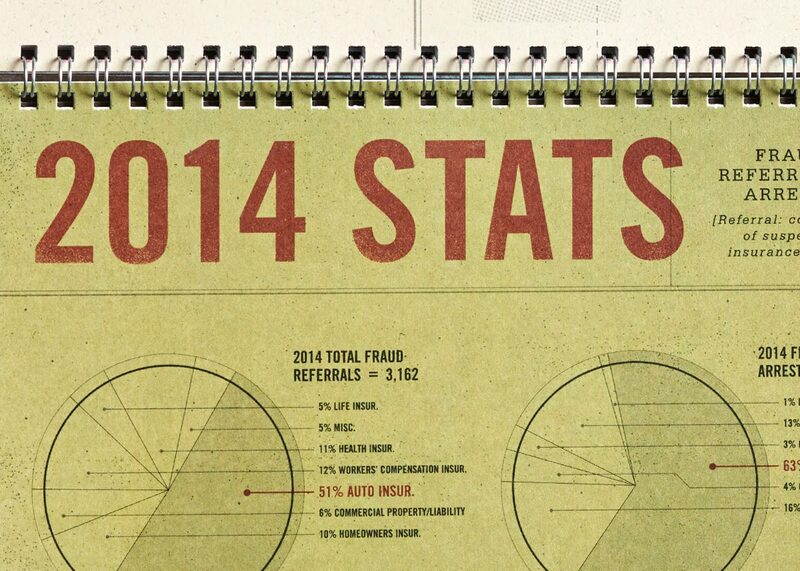 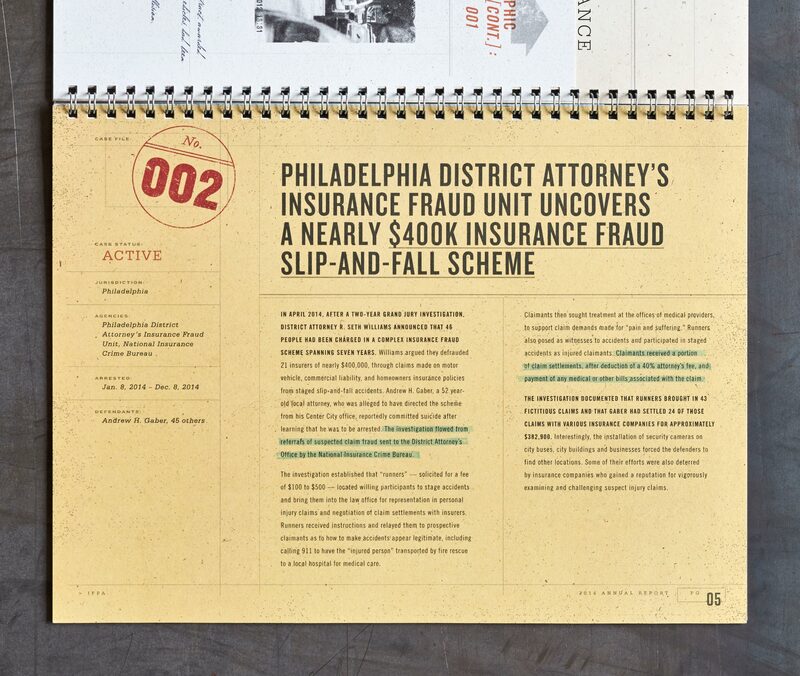 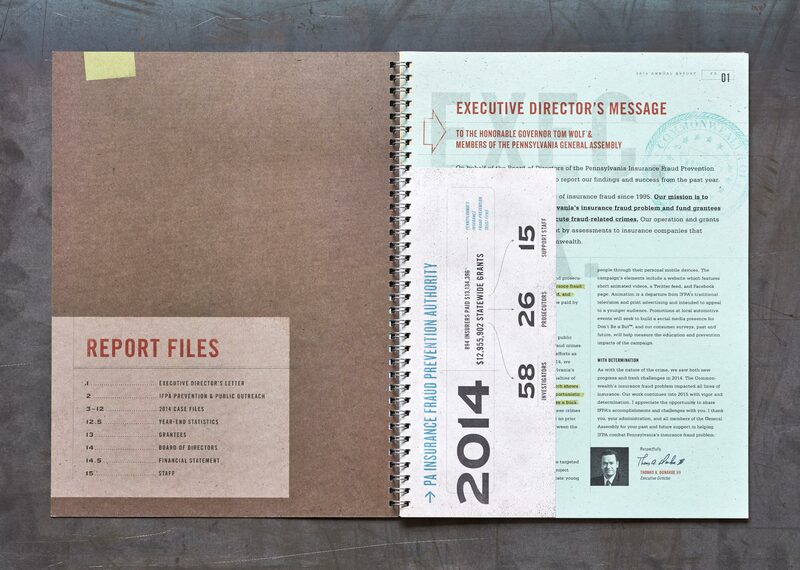 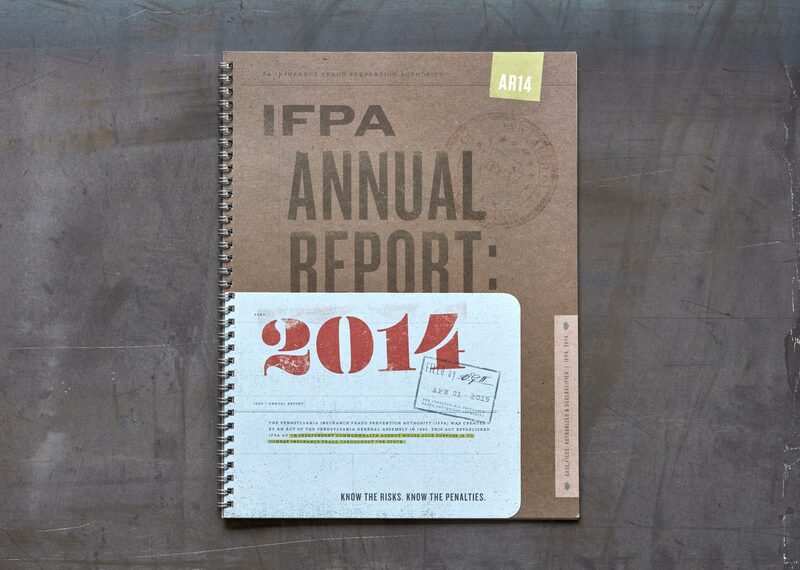 In 2014, we were approached to design the Pennsylvania Insurance Fraud Prevention Authority annual report. 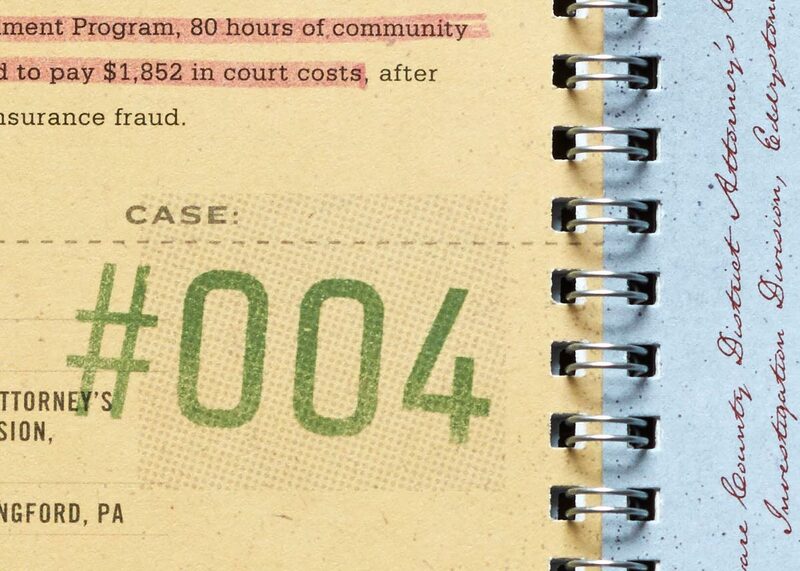 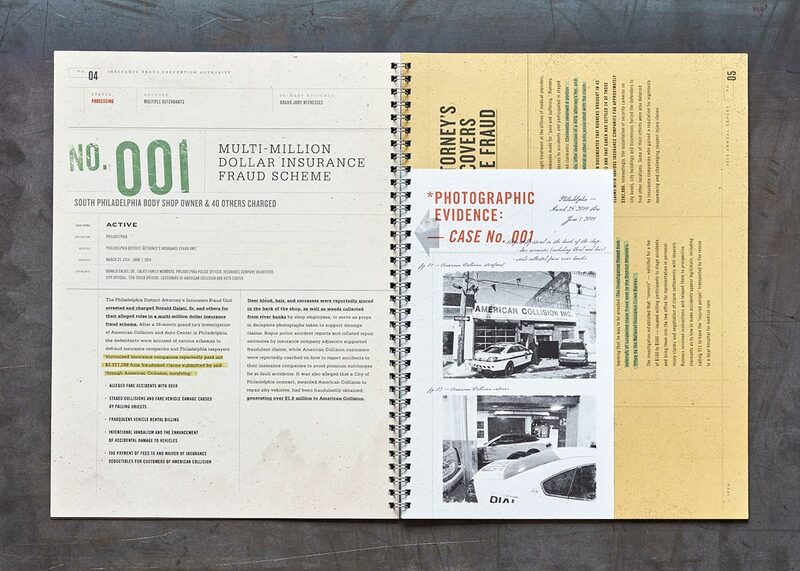 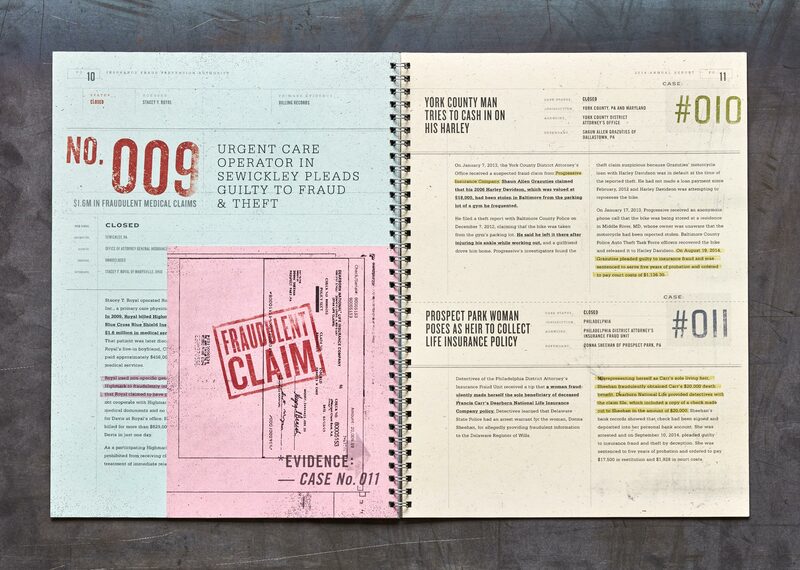 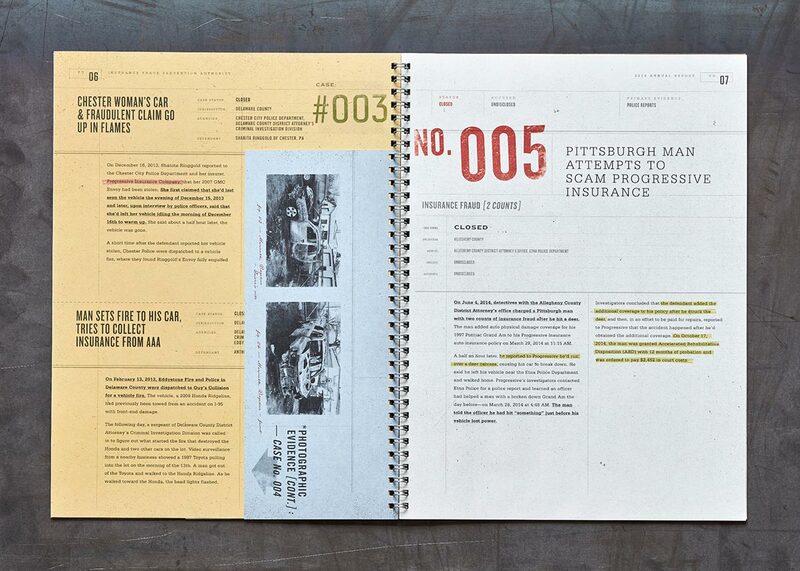 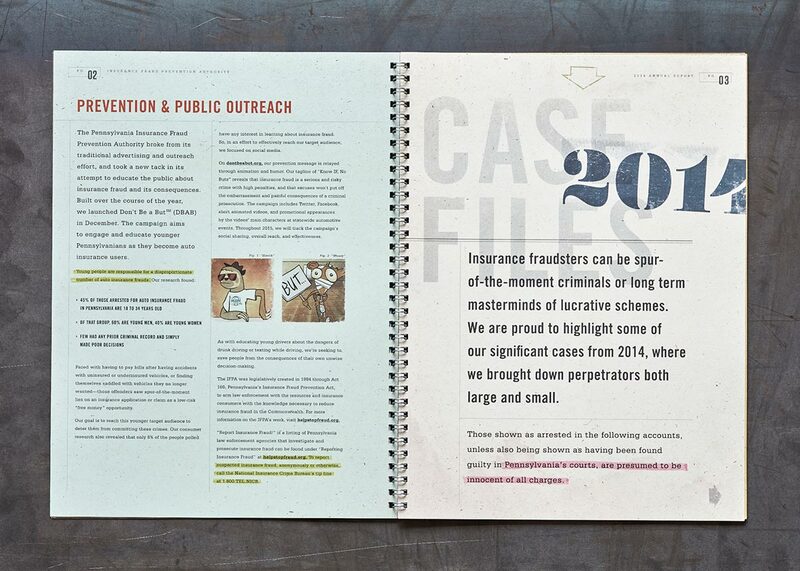 A unique detail to each year’s report are thirteen fraudulent insurance claims filed throughout the year, displayed as case studies. 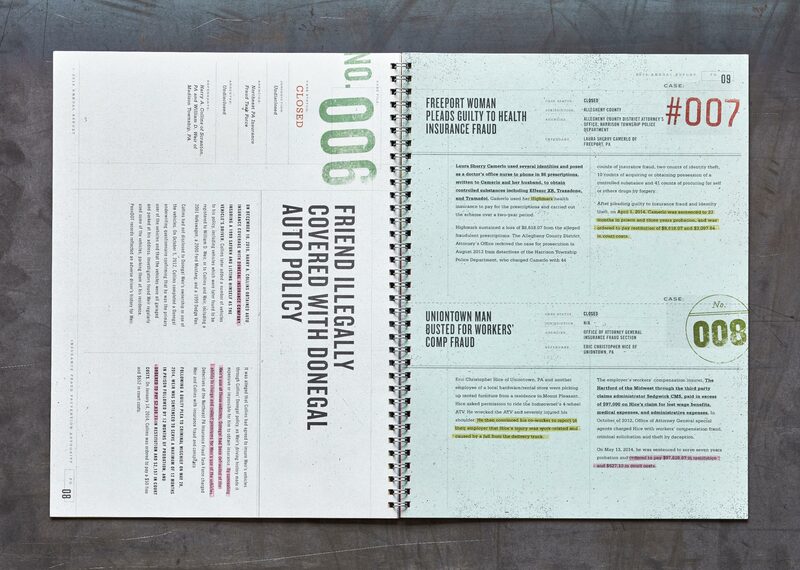 Our concept of a “declassified dossier” was a joy to create because 1) it felt vaguely James Bond-y, and 2) “dossier” is such a fun word. 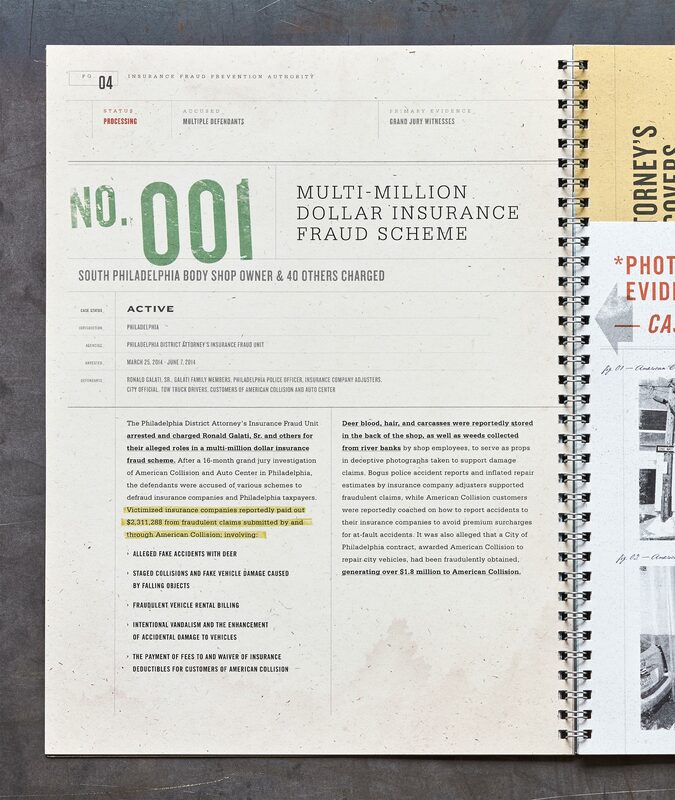 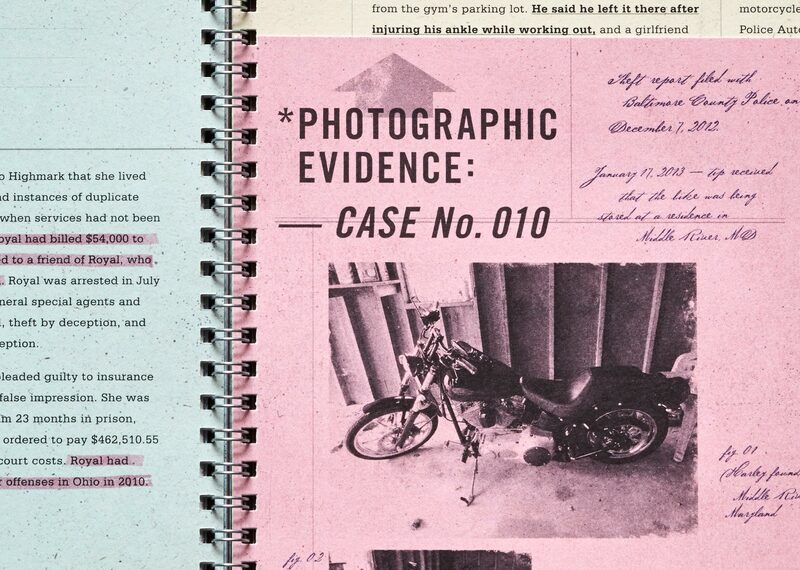 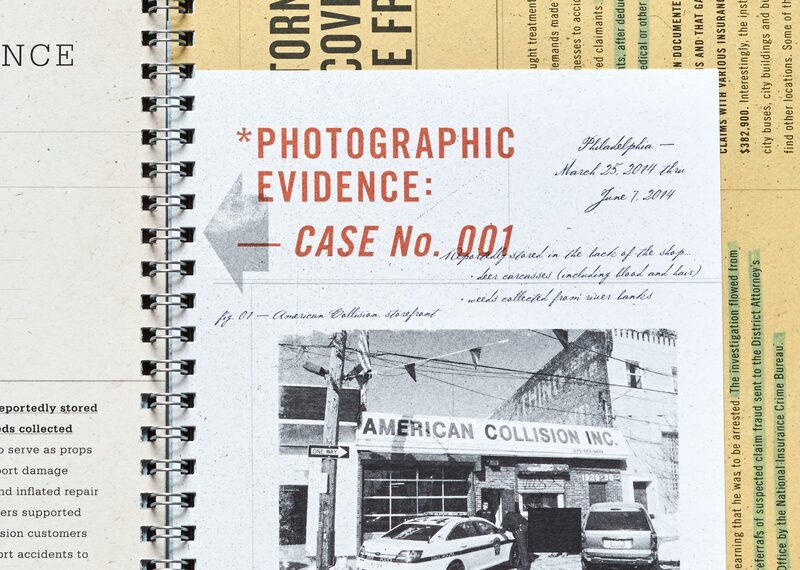 The entire piece was designed to look like a legit legal case study with various types and sizes of office paper, handwritten notes, highlighter marks, stamps, and photocopies — all bound together in a single investigative report.